Building resilience has become one of the most important leadership skills in today’s changing world. With the pace of change accelerating in virtually every domain, from politics, to technology, to globalization, the ability to show resilience in the face of change and to recover quickly from set-backs has become a vital strategic asset. Whether learning resilience for your own personal well-being or using resilience to build stronger leadership teams, this workshop will enable you to turn change into a positive opportunity for greater performance and success. 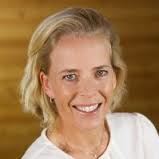 Alexia Michiels, Partner of the Resilience Institute, will introduce the major principles of resilience including the latest research. Using an evidence-based approach, Alexia will teach practical tips and mindfulness techniques to build resilience into your daily habits and routines. Participants will have the opportunity to practice these techniques and improve a core set of competencies to demonstrate bounce back, courage, connection and creativity in the face of change. Building resilience will enable you to feel more focused and purposeful during uncertain times. The approach also helps teams to protect against burnout and navigate the ups and downs of business with more agility. Over the past four years, the Resilience Institute has trained more than 60,000 individuals, companies, and leaders on how to integrate resilience into their strategic models. The Resilience Institute has conducted over 26,000 resilience diagnostics in companies across 6 countries and regions.